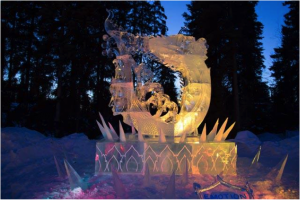 Get ready for the 2015 BP World Ice Art Championships! 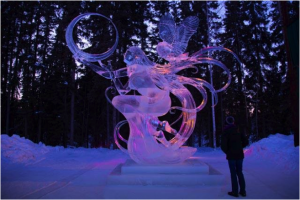 From Feb. 23 to March 29, Fairbanks, Alaska, will once again become the headquarters of the annual BP World Ice Art Championships. 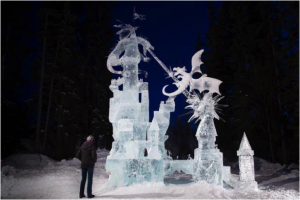 Blocks of ice are harvested from the clear waters of nearby O’Grady Pond to be turned into intricate works of art by modern-day Michelangelos. 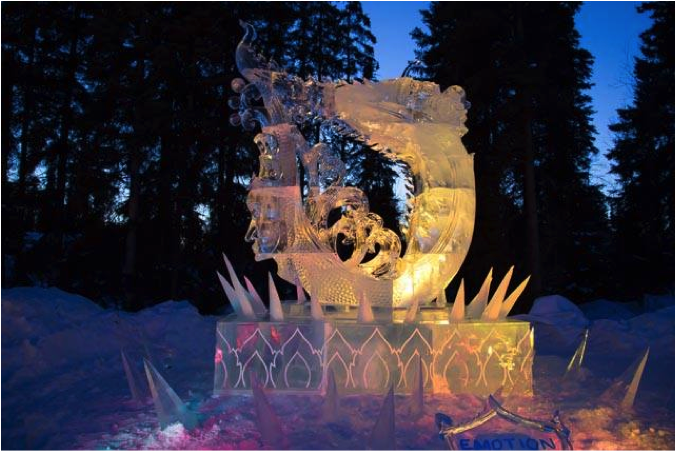 This extra cool event was founded in 1990 to keep alive the tradition of celebrating the arrival of spring by ice carving. 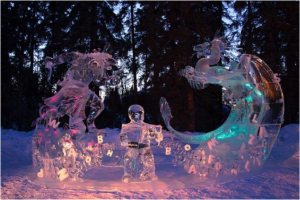 These championships have more than accomplished that goal, and to date, have attracted world-class ice artists from a total of 45 different countries plus thousands of spectators from Alaska and beyond. 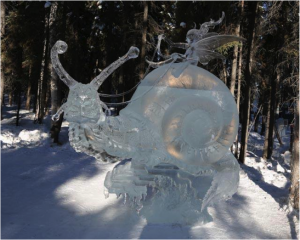 Its 25th year is set to be the largest yet with more than 100 artists competing for top recognition. 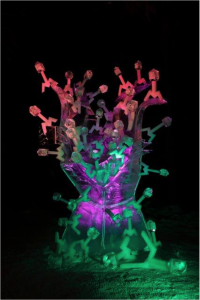 To get you in the frozen spirit, here are some photos showing off some of 2014’s most incredible and impressive sculptures, courtesy of Ice Alaska and Karen Clautice. See you in the Golden Heart City! For updates on the event, as well as construction progress, tune into Ice Alaska’s YouTube channel or Facebook page. We can’t wait to see what’s in store this year!